While visiting Chicago last year, wheelchair user Jill Constantin ordered an Uber for a ride from a comedy show. She and a friend wanted something faster than a 25-minute bus ride. In 10 minutes, an Uber driver arrived in a WAV (a wheelchair-accessible vehicle), secured Constantin’s wheelchair in place and took the pair to their next destination. On March 4, Pittsburgh Mayor Bill Peduto announced what the city calls transformative policies for the testing of autonomous vehicles. The policies focus on transparency, reducing environmental impacts and promoting lower cost and equitable transportation options. They do not specifically address wheelchair accessibility, though Uber did discuss the issue with Pittsburgh officials last year. So far, its operations haven't changed. Meanwhile, Uber deploys its UberWAV program in Chicago, New York City, Philadelphia and Washington D.C. The program provides WAVs and drivers who are trained to assist passengers. In addition, the company partners with MV Transportation, a national provider of WAVs and drivers, in Boston and Toronto. Uber is expanding the partnership in San Francisco and Los Angeles. Those eight cities account for half of all Uber rides in the United States and Canada, Uber spokesperson Harry Hartfield wrote in an email. In four of those cities — Chicago, New York City, San Francisco and Washington D.C. — disability rights advocates have filed lawsuits against Uber, citing local and state anti-discrimination laws and the federal Americans with Disabilities Act [ADA]. A similar lawsuit against Lyft was filed in San Francisco. Lyft offers real-time WAV service in Boston, Chicago, New York City, Philadelphia, Phoenix and Portland, as well as daytime service in Dallas. The U.S. Department of Justice stated in 2015 that private companies that are primarily engaged in transportation are required to comply with the ADA. These lawsuits focus on wheelchair-accessible service, including availability, wait times and fares. Two other lawsuits have addressed the accommodation of blind passengers and service dogs. At least three lawsuits have led to settlements and at least two are ongoing. The collective impact of the lawsuits is mixed, bringing attention and progress to some cities. But not in Pittsburgh. Hartfield wrote in an email that the company faces barriers to making WAV service standard everywhere, including in Pittsburgh. Because Uber's drivers use their own cars, he wrote, “there simply aren’t enough people who personally own WAVS who also choose to drive with Uber.” Hartfield said Uber is supplementing driver-owned WAVs in a number of cities through a partnership with MV Transportation. Lyft provided an emailed statement saying the company is committed to improving accessibility for riders. However, the company does not have WAVs in the Pittsburgh market and instead refers wheelchair-using passengers to local services that may be able to transport them. ACCESS paratransit is one local service, and while it fills an important need, disability rights advocates like Access Mob Pittsburgh founder Alisa Grishman see it as an older model that doesn’t meet the needs of people with active lives. Paratransit requires scheduling a day in advance. An Uber or a Lyft can be called in minutes from a smartphone. “We know that there is still a long way to go — and that we’re at the beginning, not the end, of the journey,” Hartfield wrote. Here in Pittsburgh, disability rights advocates say that accessibility is something Uber and Lyft should have been thinking about from the start. Elsewhere, some disability rights advocates have expressed skepticism of efforts by Lyft and Uber. In San Francisco, Disability Rights Advocates filed lawsuits against both companies in early 2018. The lawsuit against Uber is active; the lawsuit against Lyft is “not currently ongoing,” said Melissa Riess, a staff attorney at the organization. Riess said Uber’s partnership with MV Transportation to increase WAVs is a “positive step,” but she has received feedback from people who use the service and say it’s not equivalent to what is offered to the general public. 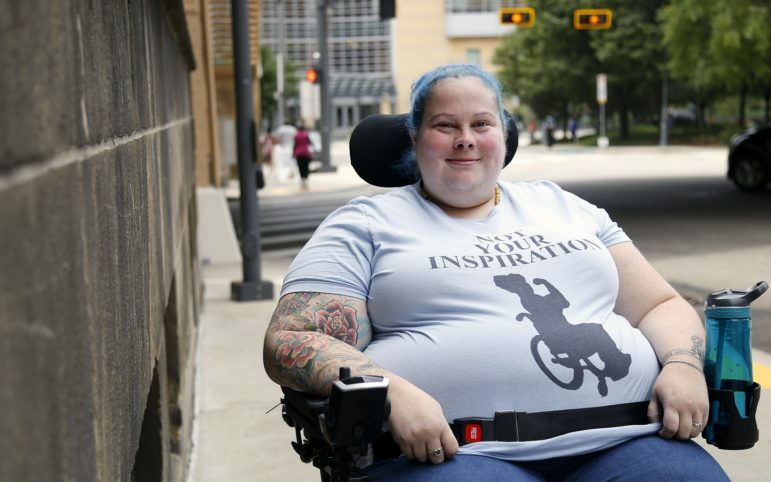 “There’s much to be done before Uber’s wheelchair access service complies with the requirements of the ADA,” she said. Disability rights advocate Jeff Parker of Oakland puts the issue of accessible Ubers and Lyfts within the larger framework of social change. “As a community, we should have things work for everyone. …If it doesn't work for everyone, then it’s missed the target,” he said. Parker, a wheelchair user and longtime member of the local Committee for Accessible Transportation, has witnessed the evolution of accessible transportation since his student days at the University of Pittsburgh in the 1970s when he couldn’t get out of Oakland because public buses did not have ramps. Getting Uber and Lyft to offer WAVs in Pittsburgh is the next step in that struggle, Parker said, adding that the mayor and county executive should team up to influence the companies. In Philadelphia, tension between ride-sharing and taxi companies has been a benefit for accessibility. The launch of Uber and Lyft in cities across the nation over the last decade was unwelcome by taxi operators, including those in Pittsburgh. In Philadelphia, where opposition by the taxi industry was more intense, the legal status of Uber and Lyft to operate expired in early October 2016. Later that year, the Pennsylvania Legislature passed a law allowing Lyft and Uber to operate across Pennsylvania. The law included a big bonus for riders in Philadelphia by requiring Uber and Lyft to put a total of 70 WAVs in place there the following year. Across Pennsylvania, the law barred discrimination against passengers with disabilities and made it illegal to charge higher rates for service to people with disabilities. Charles Horton, who served as executive director of the Philadelphia Mayor’s Office for People with Disabilities before leaving his city post March 8, said he has been pleased with the evolution of accessible ride-sharing in the city. He commended Uber in particular for collaborating with his office and the community when UberWAV first came to Philadelphia in 2014. Now, people with disabilities “have the option to travel the way you want to,” he said. “You’re not bound to having to make a reservation to get around.” Even so, “there were growing pains,” Horton said, noting that accessible Ubers, Lyfts and taxis all hit the road at about the same time. One of those issues was making sure drivers were knowledgeable about transporting people with disabilities. News coverage noted complaints about vehicles, such as ramps that were broken or too steep. Horton, who uses a wheelchair, uses ride-sharing services when he is not driving his own vehicle. Horton encourages advocates in Pittsburgh to communicate the need for wheelchair accessibility to Uber and Lyft. Could Pittsburgh be a candidate for UberWAV in the future? Karina Ricks, Pittsburgh’s director of mobility and infrastructure, said the city has already had conversations with Uber about accessibility. Characterizing the idea as a “peace offering,” Ricks said she was not sure if Uber took any action on it. Hartfield did not respond to a request for comment on the discussions. “It is our value as a city to have accessibility for all,” Ricks said. "Any company that comes here should do that.” However, the Pennsylvania Public Utility Commission, not the city, oversees commercial car services. Ricks added that more transportation options are needed in Pittsburgh in general, noting that getting around the city can be difficult for people who don’t or can’t drive or don’t have a vehicle. 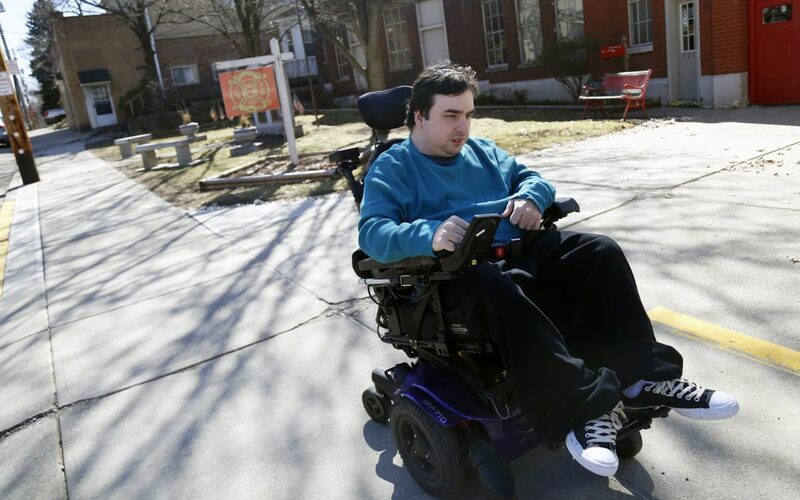 While Lyft and Uber have yet to bring wheelchair-accessible rides to Pittsburgh, two companies are addressing accessibility and the larger issue of transportation insecurity. Ruby Ride, based in East Liberty, recently launched two pilot programs focused on geographic areas – one in the McKees Rocks area and one in Clairton. Ruby Ride partners with community organizations and places a WAV where needed. CEO Jeff Ericson moved from Arizona to Pittsburgh three years ago. The company operates a program in Tucson. Mobilty4All, headquartered in Minneapolis, bases its on-demand model on how riders with disabilities differ from traditional riders — for example, those who require “hand-to-hand, door-to-door” service. The model holds potential for adults with disabilities who require some measure of support. Company CEO John Doan, a 1996 Carnegie Mellon University engineering graduate, has a brother with disabilities who has informed his understanding of transportation needs. The company’s plans to expand to Pittsburgh reflect its interest in Uber’s testing of self-driving cars here. According to Hartfield, Uber is “still in the early days” of developing autonomous vehicles and sees wheelchair accessibility for those cars as an issue to address in the future. “Our first focus is on building a safe, reliable system that will, in turn, enable safe and reliable WAV services,” he wrote. At the city, Ricks said that disability rights advocates should be "very sticky in continuing to advocate” for universal accessibility. Updated 3/20/19: As of March 8, Charles Horton no longer works for the City of Philadelphia. Freelance journalist Tina Calabro writes about disability issues. She can be reached at tina.calabro@verizon.net. This story was fact-checked by Kieran McLean.